Ooma Announces AMAZING Black Friday Deals! Our 2018 Black Friday sales event includes amazing deals on Ooma products. Whether you’re shopping for yourself or buying gifts, you can save hundreds of dollars all weekend long. Kicking off the holiday shopping season, discounted prices go live on Thanksgiving morning, November 22, at 12:01am EST. For west coasters, that’s Wednesday, November 21 at 9:01pm PST. Sale prices continue through Cyber Monday, until 11:59pm EST (8:59pm PST) on Monday November 26. While there will be discounts on many Ooma products, below are the four Black Friday deals we’re most excited about. 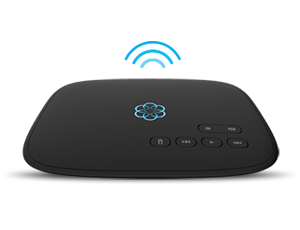 During the holiday weekend, the Ooma Telo will be discounted to $69. That’s a 31 percent reduction off the regular price of $99.99. The discounted price is a great way to get started with Ooma phone service. 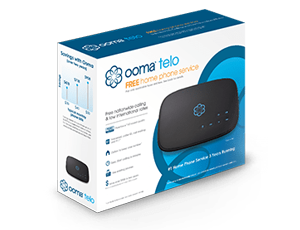 In fact, the savings don’t end with purchasing the Ooma Telo. Using Ooma’s VoIP phone service could save you $302.25 in home phone service in just the first year. The Ooma Telo also gives you access to advanced calling features with Ooma Premier service, including the ability to block spam callers, smart home integration, unlocked calling app features, and more. The super-smart Ooma Butterfleye security camera is discounted 41 percent this holiday weekend! The sale price is $119 for the white Ooma Butterfleye with 16GB of onboard storage. The security camera provides instant activity alerts, livestream, video archive, and backup systems to continue recording during power and internet outages. For access to additional security features, Ooma’s monthly subscription plans offer facial recognition technology, automated arming and disarming, two-way audio, and more. If you or someone you know has been considering adding in home security camera to a property, the Ooma Butterfleye is an easy way to implement a powerful and portable security solution that can be monitored from a mobile device. Shoppers wanting to implement a multi-point security system can take advantage of Ooma’s Black Friday sale that discounts the Smart Home Security Starter Kit with Ooma Butterfleye Camera to only $189.99. That’s more than $100 off the regular package price, and nearly $200 off purchasing each device individually at regular price. Included in the home security kit are an Ooma Telo, one Ooma Butterfleye video camera, two door/window sensors, and one motion sensor. All users have access to real-time security notifications on their mobile device, unlimited sensor connectivity, activity modes, and more. Users who want access to additional security features can subscribe to Ooma’s Home Secure plan to access automated mode-switching based on location, Remote 911, multiple app users, and more. With DIY installation and monitoring, Ooma’s security kit is a perfect gift for your family, elderly relatives, and even college apartments. Small businesses that are getting started with Ooma Office VoIP phone service can save 64 percent on the Ooma Office Starter Pack. During Black Friday weekend, this $249.99 starter pack is discounted to $89.99. This package includes the Ooma Office base station and two Ooma Linx devices that allow you to wirelessly connect phones to the base station. Ooma Office helps businesses save thousands each year on phone service. This Starter Pack is your gateway to enterprise-grade phone service on a small business budget. Calling features include extension dialing, conference bridge, multi-level virtual receptionist, music on hold, discounted international rates, a free mobile app, and more. For the past six years, Ooma Office phone service has been named the #1 VoIP phone provider by the readers of PC Magazine. The report found that an astounding 69 percent of Ooma Office customers would recommend the service! With the Black Friday promotional pricing, you can get started using the award-winning Ooma Office phone service for less. Find out more about Ooma’s smart communications and security products.